Posted September 25th, 2015 by Melody Taylor-Fliege & filed under Change, Life Coaching, Personal Growth. Looking for a COACH? Look no further! Join us Tomorrow! Beginning at 11:00 at Hackescher Markt on Saturday, 26. 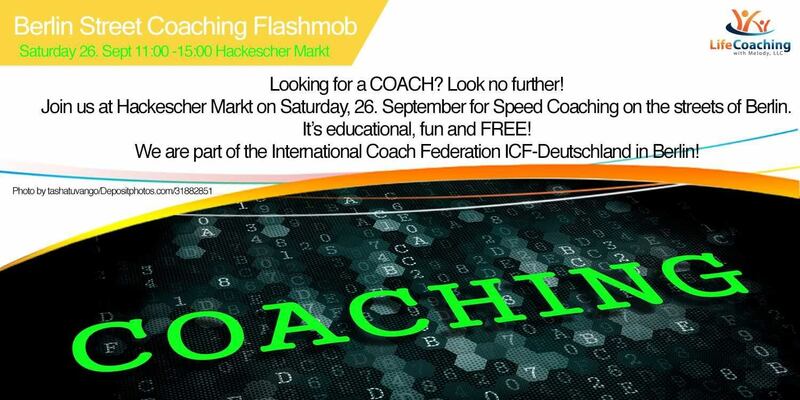 September, we will be Speed Coaching on the streets of Berlin. It’s educational, fun and FREE! We are part of the International Coach Federation ICF-Deutschland in Berlin!